What a concept … if you find some possible ancestors who could link back to the Mayflower passengers, what an achievement. 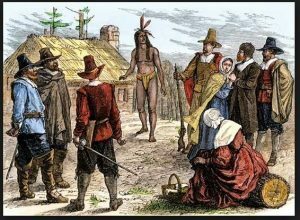 The original Pilgrims who arrived in Massachusetts on November 9, 1620, their descendants could be one of your ancestors. Even better, there is still time to join the General Society of Mayflower Descendants (more commonly known as the Mayflower Society) before the big November 2020 celebration of the 400th anniversary of the landing of the Mayflower. How to figure out if you might have ancestors from 1620 at Plymouth, comprise a list of ancestors BUT do not include any you know immigrated after 1620. Look for surnames for your list. Then using the list from the Mayflower Society look for the names are there. If you find there are surnames of Chiton, Allerton, Tilley, Doty, Mullins, to name a few, you might be related. True, the spelling of surnames could have changed over the years. But it is a start. Check this list of children of Mayflower travelers also. Another help from the Mayflower Society is that they documented the first five generations of Mayflower descendants in their series of books Mayflower Families Through Five Generations, known as the Silver Books because of their distinctive covers. These books are available for purchase through the Mayflower Society, for review in various public libraries, and as part of the online database of the subscription-based New England Historic Genealogical Society. 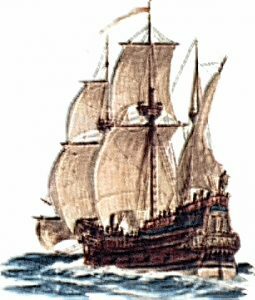 Yes, there were there were 102 passengers onboard the Mayflower, only 51 of those passengers are known to have living descendants today, reducing the number of family names for comparison. Reminder, many died within the first year of arrival and never had children. When I did my husband’s family tree, I actually located two Mayflower members – Stephen Hopkins and Thomas Rogers. You have a chance to be a part of a large once in a life-time celebration for the 400th anniversary – not to be missed. 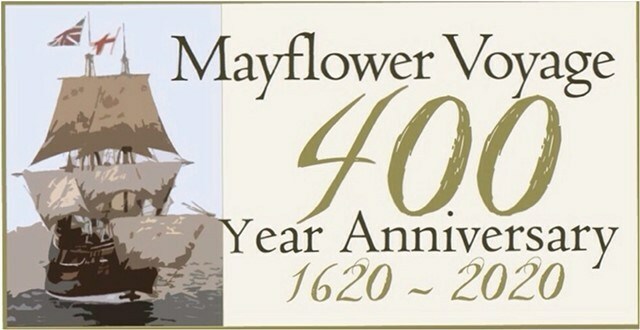 Photos: Mayflower 400th Celebration; Pilgrims and Squanto and Mayflower ship.